Our Diabetic Life: Still a little broken. In a few weeks it will be 12 years we have been “working” with diabetes. When J was diagnosed I broke into a hundred pieces. You would think that after so many years I would be healed by now. You would think that after so many tears I would be dry by now. But I still cry at too many songs on the radio. I still get shook up when one of the boys expresses ANY sadness about this disease. I still feel guilt when blood sugars don’t do what they should, even though I know it isn’t as much my fault as it is the diabetes itself. I’m still a little broken. Maybe it’s because our last diagnosis was only 3 years ago. 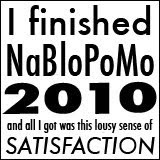 Maybe when there is a new diagnosis it’s a do over…you start from the beginning. You need to go through all the stages of grief. But if that is true, does that mean that in time I won’t be broken anymore? That one day I’ll be ok with all of this? I can’t imagine any of this ever being ok. I do imagine happiness with maybe a little peace sprinkled on top. But it will never be ok that my son puked because his tubing broke off his pump. I will never be ok with cleaning up bloody tests strips off the dresser after a long night. I will never be ok with sticking needle after needle into my boys. Finding my son limp on the couch as he declares his legs don’t work because he is low…that kind of stuff just won’t ever be ok.
It’s like I’m watching the movie of my life. It’s a happy movie…a fun comedy with the most endearing characters ever. There is action, suspense and most importantly…love. It is a fulfilling and blessed storyline. But as I watch the plot of this awesome movie unfold…it’s the background music that changes everything. The music is dramatic, with a sad undertone. All the scenes of my life take on a completely different context with diabetes in charge of the playlist. It changes who I am. I have awesome days. Days where diabetes has nothing on our family. We don’t let it win…we live! We live happily. And as time passes these days become more of our norm. 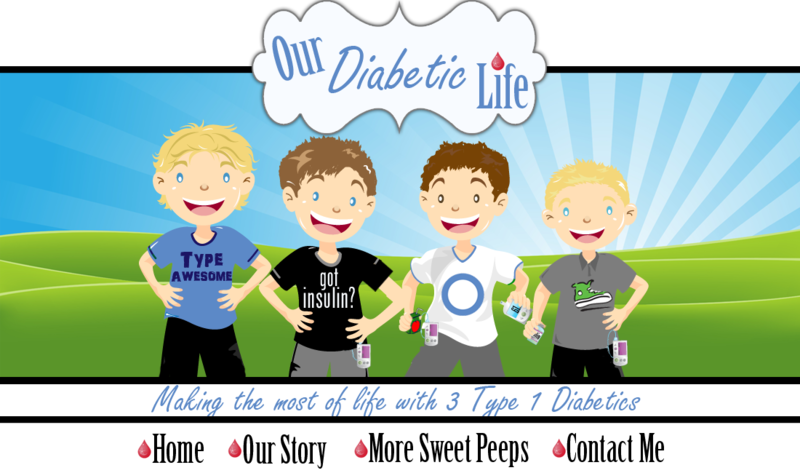 Diabetes goes onto the back burner…we have control. We win the battles. Or someone has a growth spirt. Or until we eat pizza. Or until a million different things. I broke three times…and I am still standing today. That has to say something. Name anything you have broken three times…I bet it is in the trash. I wonder if people can tell. Can they see the cracks that love has sealed back together? Is it obvious? I’m a literal patchwork quilt of cracks. I’m sure it is a little noticeable. But I hope they don’t feel sorry for me. We are going to be ok. We ARE ok.
Not ok with how diabetes affects the boys. But ok despite how diabetes affects the boys. Despite it all…we are still standing. Despite it all…we are still a family. Despite it all…we still love one another. Despite it all...we celebrate our blessings. And diabetes can’t take those things away. It can take away my sense of humor sometimes, it can take away my patience sometimes, and it can certainly make me more serious about certain things…but it can’t take away the love. And best of all…it can’t take away the hope. Bravo and amen Meri! You are stronger at the broken places. You are prettier than the ones who have no breaks at all :0) And, my friend, you have become an amazing mother each and every time you have been broken That is more than ok, that is tremendous. Great post, as always, Meri! Hugs to you and your beautiful family! Once again- I am reposting. You rock my friend. Aw, Meri, you express it all so well.I know exactly how those cracks feel. For once I will use that overused word but in its correct place : you are AWESOME! Your boys and you family are lucky to have you but so are all the rest of us out here in internetland. I needed to read this today, Meri. You said exactly what I have been overwhelmingly feeling lately. I am having such a hard time right now... feels like my cracks are growing, not healing. A lot of it has to do with getting Jacob ready to go to school. I'm scared stiff. Thank you for sharing your heart... it means so much. And what a testimony to your family and all of us on how things can and do get handled by a woman of your caliber! Now I'm going to go sit and stare at a beautiful view while I reflect on this beautiful post. Keep plugging away, like you said there are so many good days. Good post, Meri! God is going to use every broken piece to make you even more beautiful than you already are! It's people like you, who keep people like me plugging away, every day. Broken, no - I don't think so. I know I've only got 1/12 and 1/3 of the experience you do, but broken I get. We become broken, but the pieces eventually fit back together again- only different. Beautiful post, Meri! I just read Little Bee (the novel) and your post brought to mind an idea from the book...scars, physical and emotional, are beautiful. All of our scars tell a story of the trials and triumphs that we've been through. When the really tough things happen, we all shatter into a million pieces. But the pieces come back together and we go one with life and take more joy in it because of what we've experienced! Your boys are so lucky to have you! Meri. Twelve years. You are amazing. I am afraid I will be in an insane asylum in 12 years! And I just have the one with diabetes. You are a strong woman. Beautiful post Meri! 12 years gives me so much hope! You are still sane and your family is thriving! Thanks for posting this. I needed to hear it! I have heard that when we are broken, God puts the pieces back together and He is able to make something far more beautiful than existed before. I didn't know you before but the person I know today is exquisite! 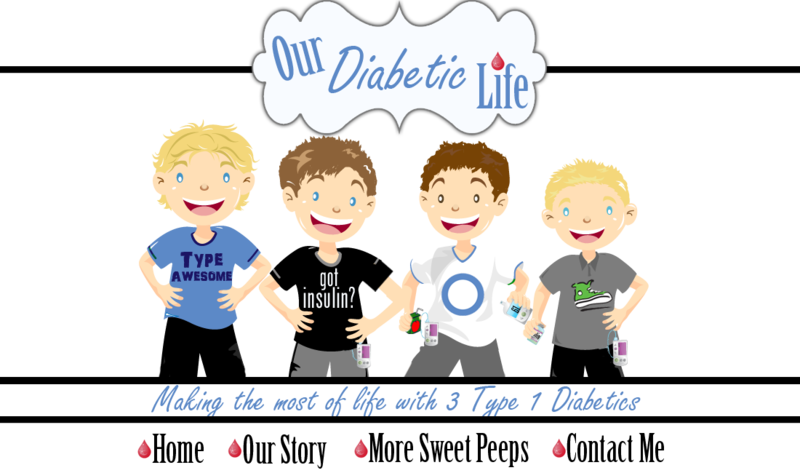 I know it's different when it is your child, I get that know, but I even think about diabetes and my husband often...I wonder how different things would be. I keep holding to hope as if it were THE only life vest. Thanks for being so transparent with us. I cry so often with your post because I feel like you're speaking the words my tired mind can't get out. THANKS. PERFECTLY WELL SAID Meri! 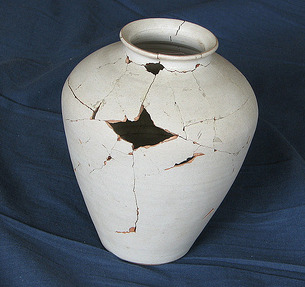 I too feel "cracked"...not quite totally back together and yes, I don't think those cracks will go away... They add patina!!! LOVE YOU AND YOUR BOYS...and LAWTON! Add mind reader to your list of Super D Mom powers! Seriously, it's as if you read all of the thoughts that have been swirling in my brain for a while now and you expressed them so beautifully. GREAT post! So many times you have reached out to me when I've felt broken. I too broke when my second child was diagnosed and again when I looked at a family picture and realized that I was the one that was different. I am so grateful to you and for you in my life...you are an inspiration and your boys are great, because of YOU! Thank you for you! Great post! I can only imagine how strong moms of CWD's are. I'm T1 so I just try to deal with it as best as I can but I believe that family and friends around us actually have to be so much stronger than we are. I have a few cracks too but at least my wrinkles help cover them up! Yes creacked but not broken and if I have my way( and I usually do!!) I will not be broken by Diabetes. We will not be broken by Diabetes. I have said it before - but I don't know how you do it. One is hard enough.